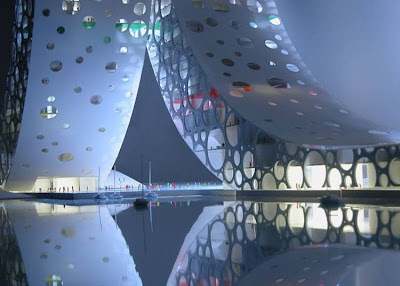 Shanghai's icon of Architecture look so beautiful. 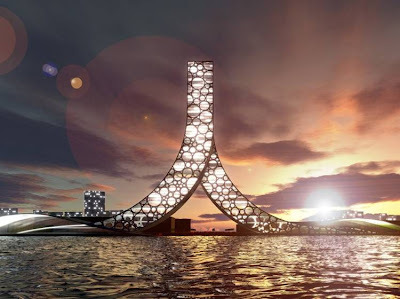 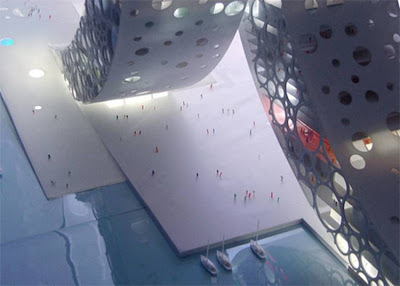 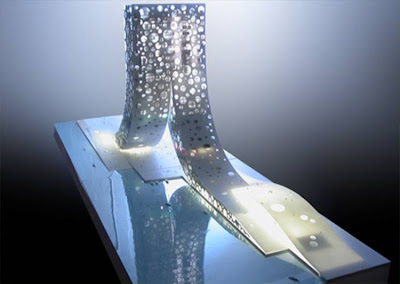 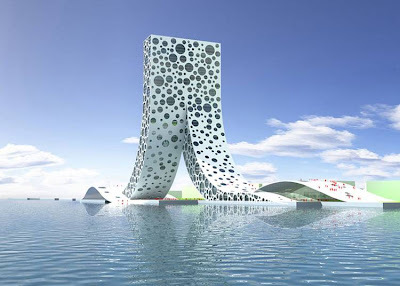 The REN Building is a proposal for a hotel, sports and conference center for the World Expo 2010 in beautiful Shanghai . 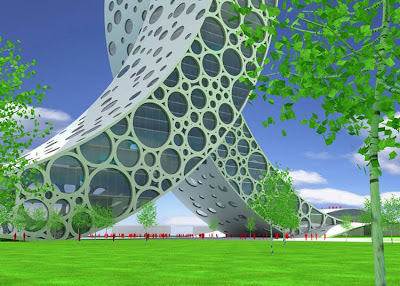 The two buildings meet in a 1000 room hotel, a building for living. 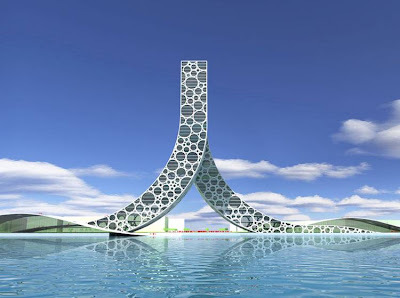 The building becomes the Chinese sign for 'The People', and a recognizable landmark for the World Expo in China.